As a Chinese technical aluminum product manufacturer, Haomei Aluminum has more than 20 years’ producing experience, we have export aluminum coil to over 40 countries all over the world. When it comes to the quality problems of aluminum coil, we can tell more information to the customers, and the solutions as well. 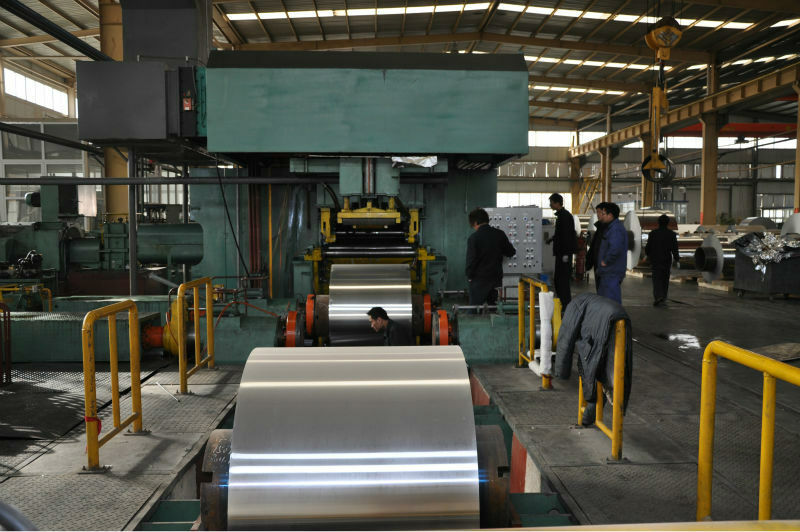 Aluminum coil usually has the quality problems specifically the following points: gas and slag, long strips of small cracks, black bars, scratches. Now let us discuss the reasons and solutions together! Firstly, the gas and slag. The possible reasons in the casting and rolling: the production process is not strictly enforced, the furnace degassing is not good (degassing box leakage), aluminum water treatment is not well, the filter work is not well (filter box can not be used normally ), The air is too wet. Rectification measures: one-time feeding, according to the operation process to spreading capping agent, strengthen the refining, solve the problems of degassing box, clean treatment of aluminum water, increase the filter to ensure that aluminum water after filtration. Secondly, long strips of small cracks. The possible reasons in casting: damage to the skin. Rectification measures: immediately off the board to ensure that the production of intact mouth skin. The possible problems in casting: the process is not implemented in place, aluminum water treatment is not good. Rectification measures: develop production technology, strengthen the aluminum water treatment. The possible reasons in casting: cutting plate machine lower surface friction aluminum coil surface. Rectification measures: Rectification the cutting plate machine lower surface.